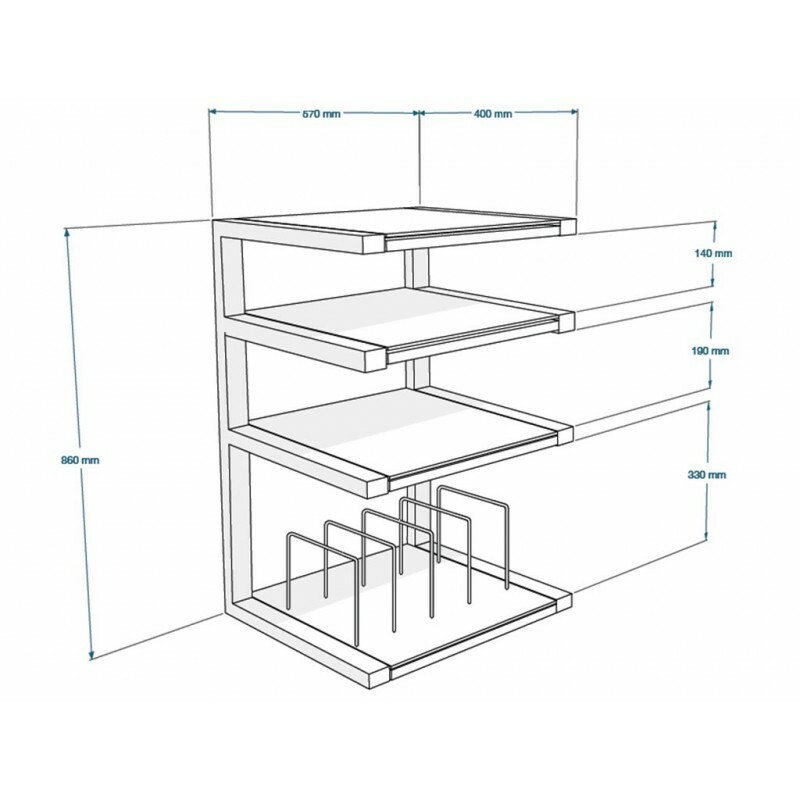 This new Norstone piece of furniture perfectly adds to the manufacturer's ESSE range. 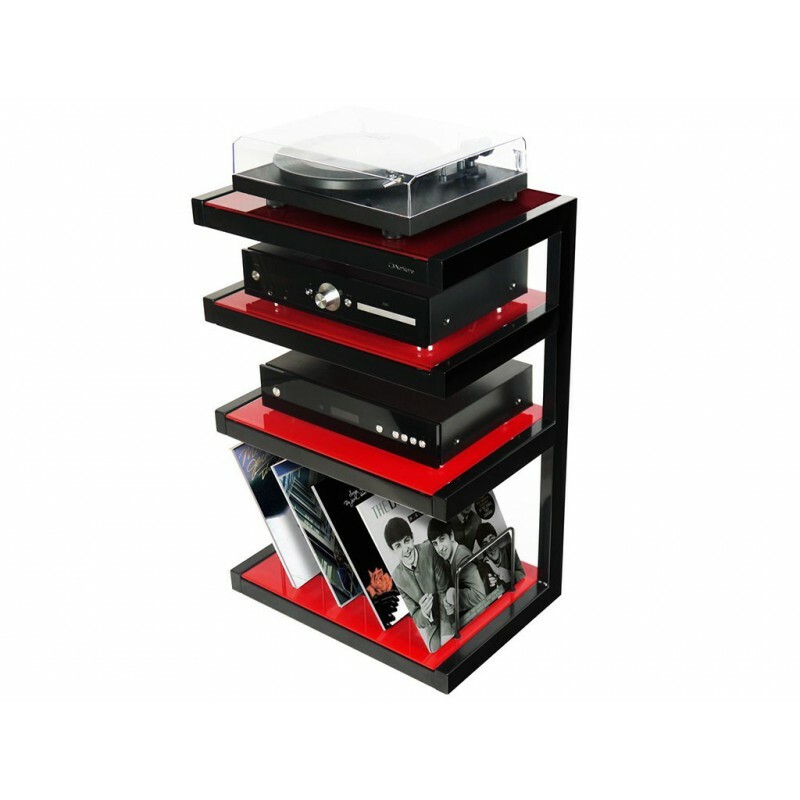 This Norstone ESSE Hi-Fi Vinyl cabinet makes a timely arrival amid the revival of analogue music! 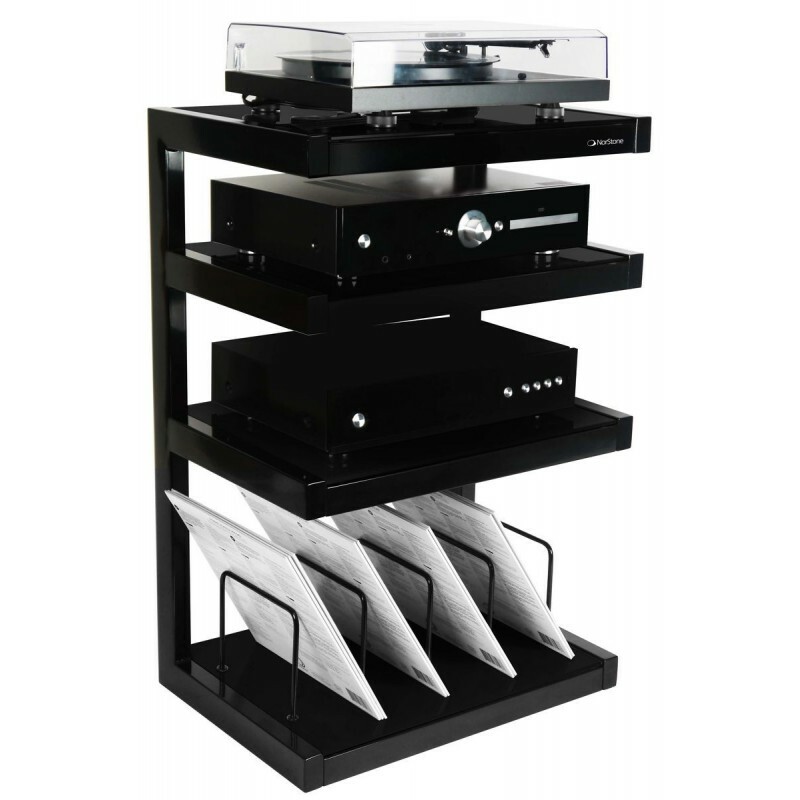 It is designed to accommodate a turntable, an amplifier and any other audio system. 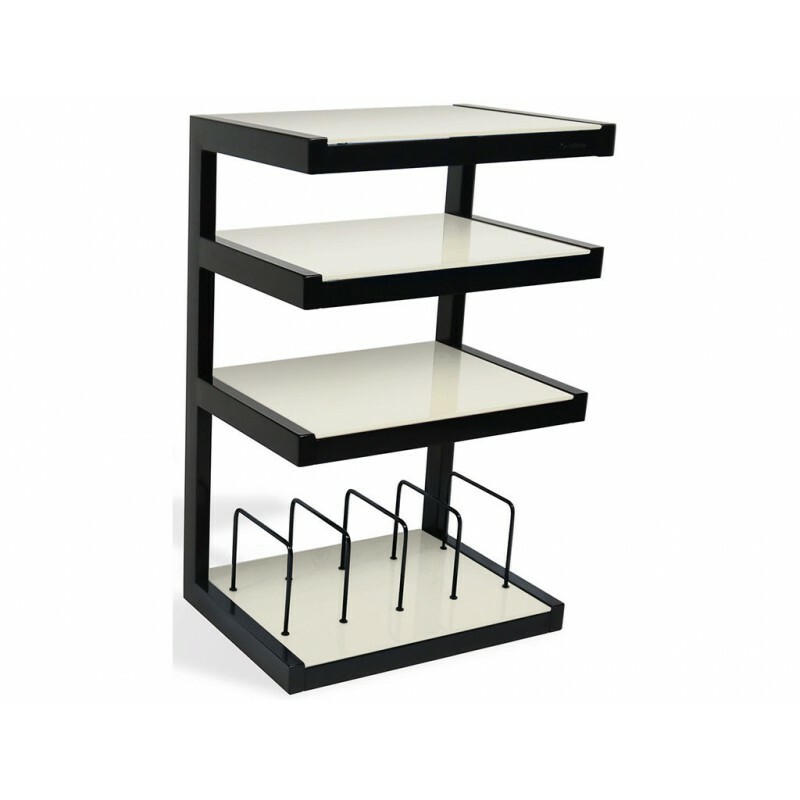 It's distinctive features lies in the bottom shelf, designed to accommodate your 33 RPM collection! 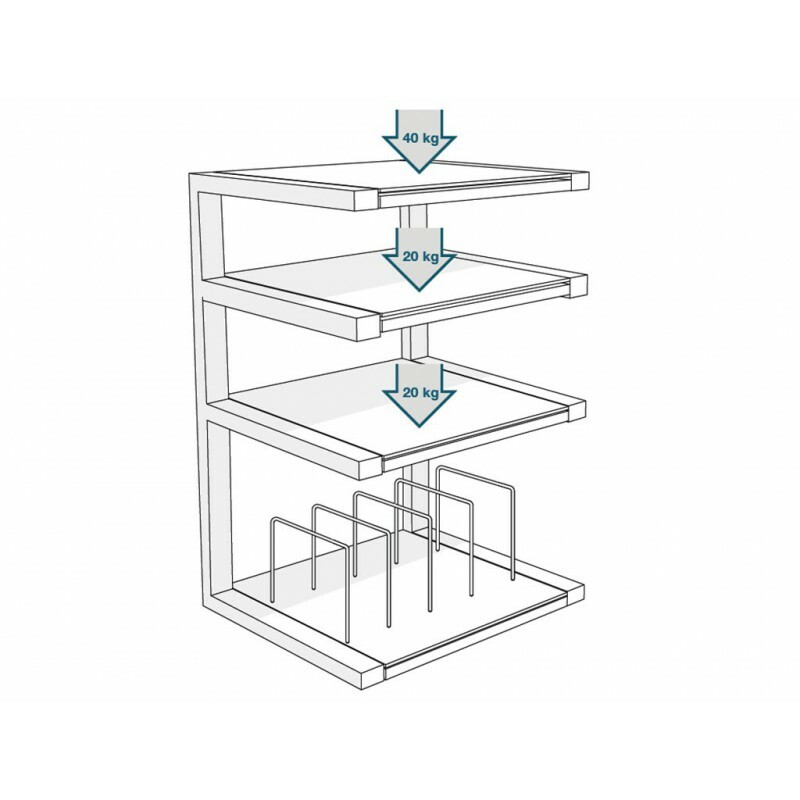 Though its capacity is limited (90 records), the keenest collectors out there will be able to use it to store their new findings! 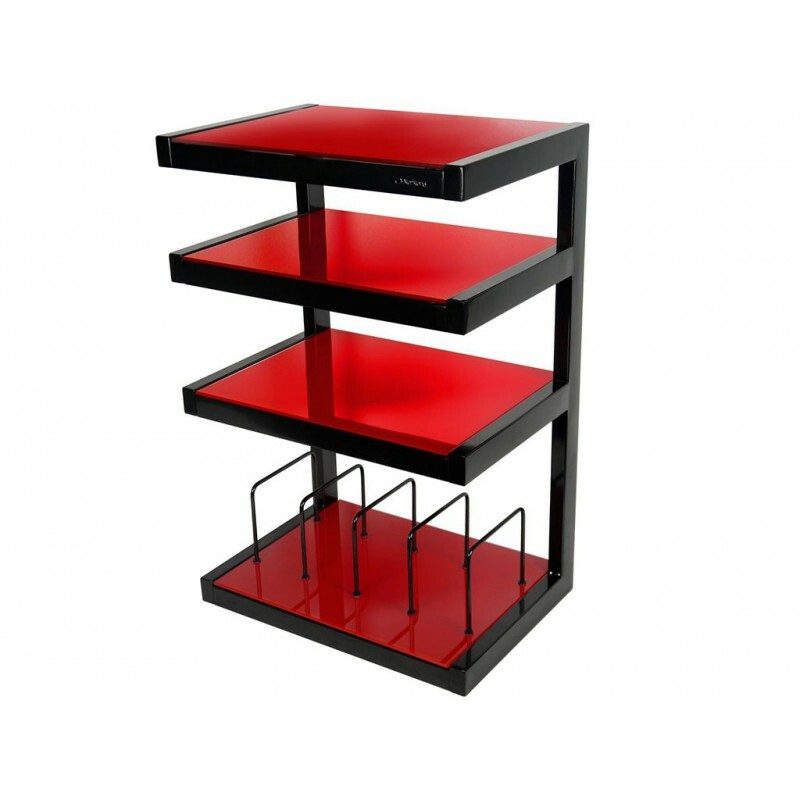 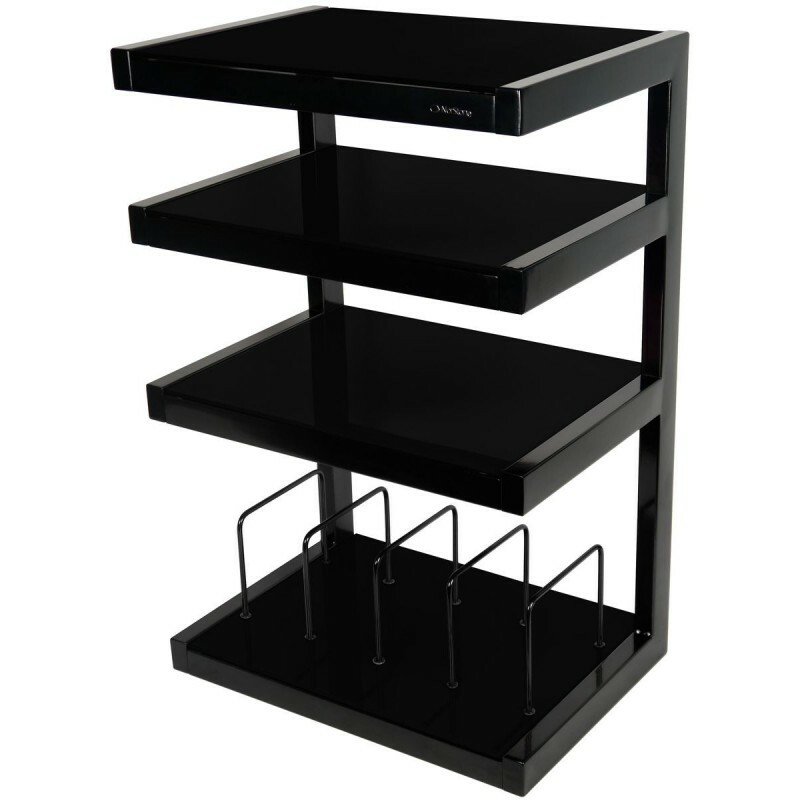 Available in black with black, red or frosted glass shelves.